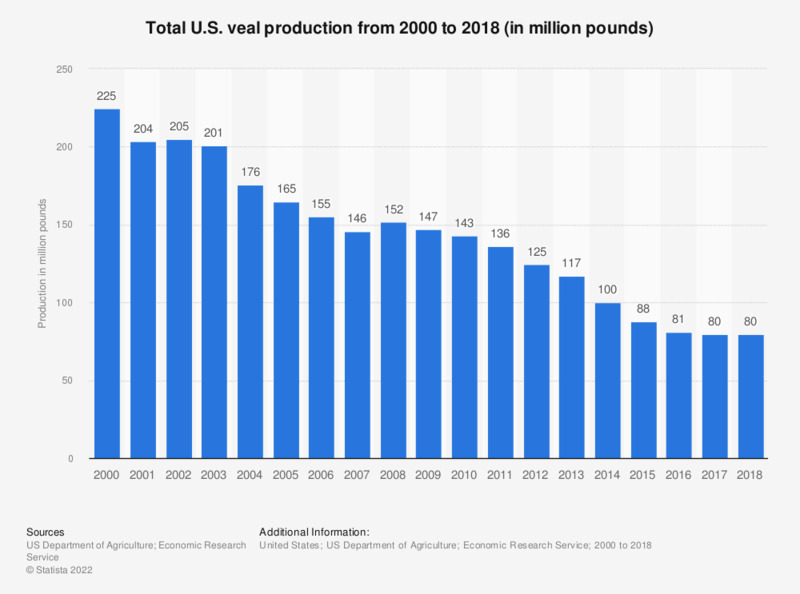 This statistic shows the total veal production in the United States from 2000 to 2017. In 2017, around 80 million pounds of veal were produced. This statistic was assembled from several USDA annual statistics reports.